This range covers North Africa and the Middle East, and will also include Afghanistan and the Indian sub-continent. 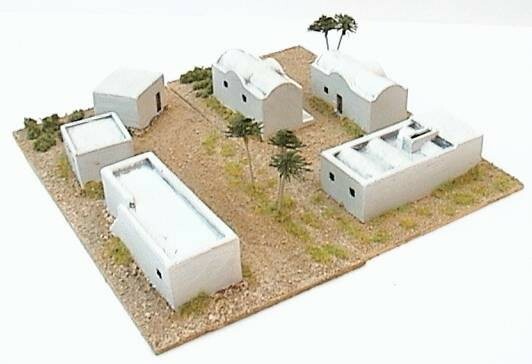 The models are suitable for the North African campaigns of WW2, and the various wars in the Middle East. 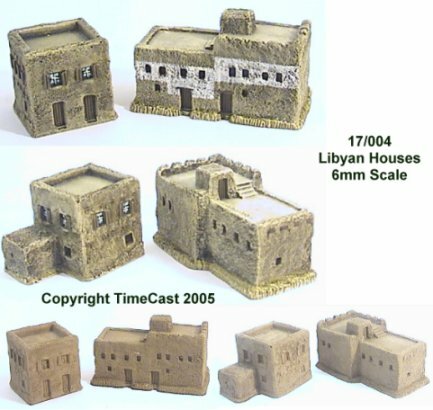 Some models will also be suitable for earlier periods including Colonial period games. 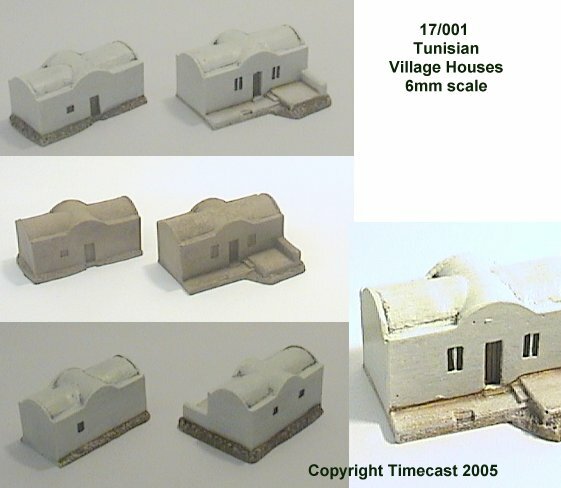 Two traditional Tunisian barrel-vaulted village/town houses. The vaulted roofs originated in Roman times and are still popular today. The models can be used individually of can be grouped together as a single unit. Tunisian townhouse. This single-storey model uses a mixture of flat and barrel vaulted roofs. 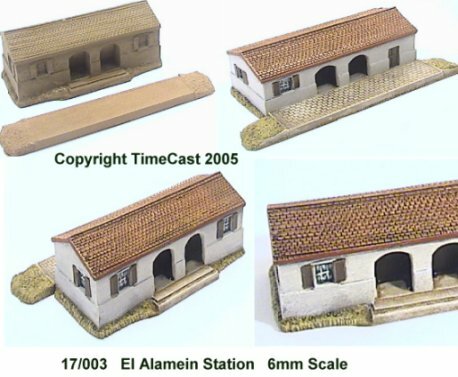 El Alamein Railway station. Based on both official photographs and the private photographs of Matt Dryden (7th Armoured Division – the "Desert Rats”). 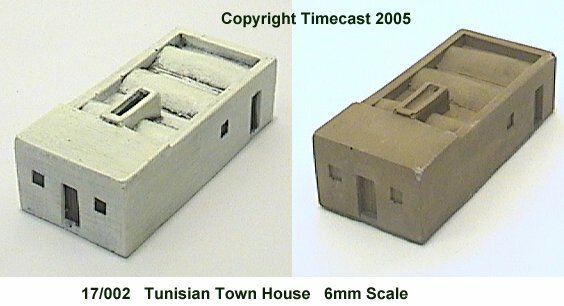 This is a two part model comprising the station building and platform. 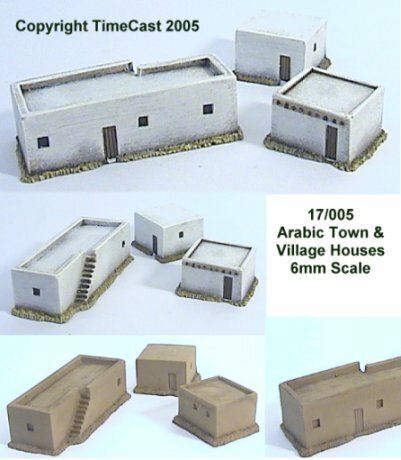 Arabic town/village houses. A set of three single storey houses, typically found in Egypt, along the North African coast and the Arabian peninsula. Middle Eastern Market Buildings. 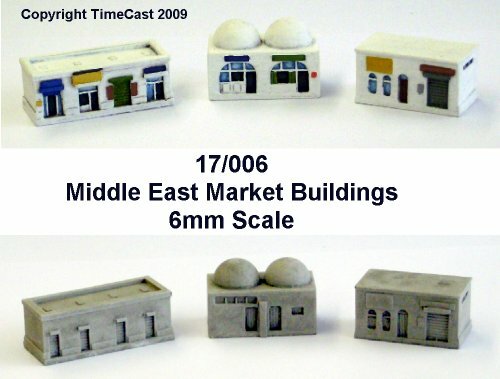 A set of three single storey market buildings, typical of the eastern Mediterranian, the North African coast and the Arabian peninsula. 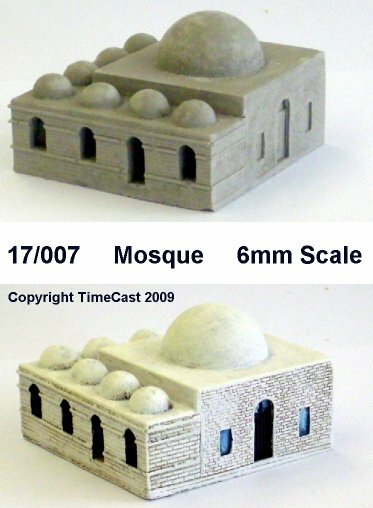 A small Middle Eastern Mosque. This one was photographed on the island of Crete but similar mosques can be found all over the eastern Mediterranian and North African coast.